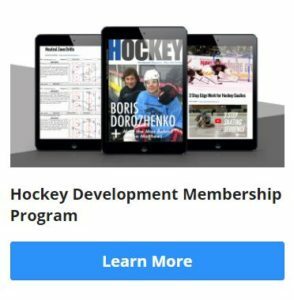 HockeyVision Training Pucks are a great way to train yourself to rely less and less on seeing the puck, which will then allow you to stickhandle with your head up, enabling you to see more of the play. HockeyVision Training Pucks are white, with a black dot in the middle. The black dot comes in three sizes (large, medium, and small). 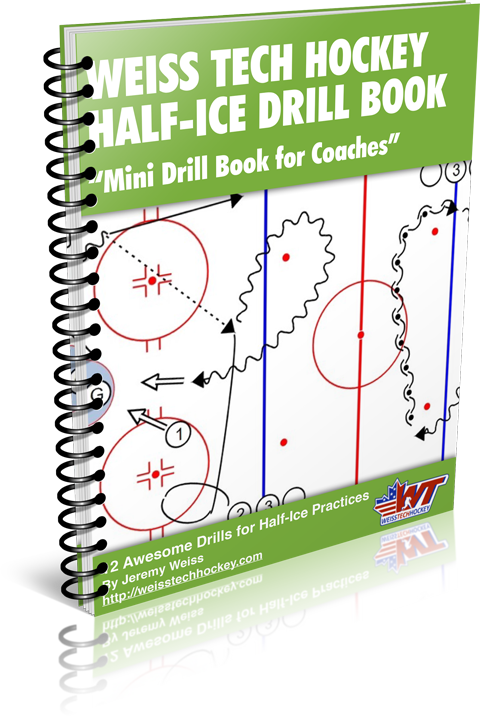 The idea is to work your way down from the large, more-visible dot to small, less-visible dot, training your eye to not have to see as much of the puck while stickhandling. 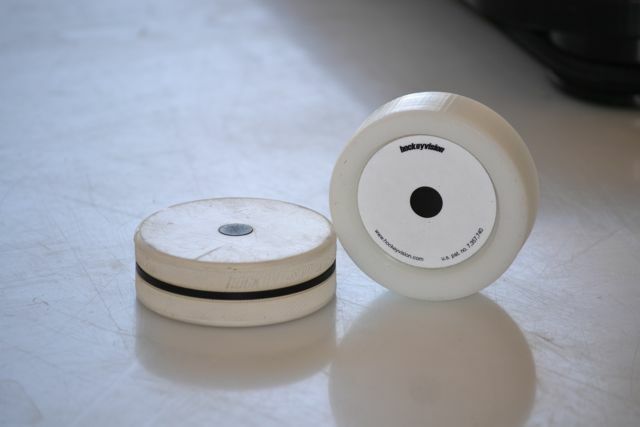 These pucks are available in on-ice and off-ice models. The on-ice pucks are made of rubber (same as a regulation puck), and the off-ice ones are made of a high-density plastic (HDPE if I’m not mistaken), which allows them to slide really well on flooring tiles or a skill pad.